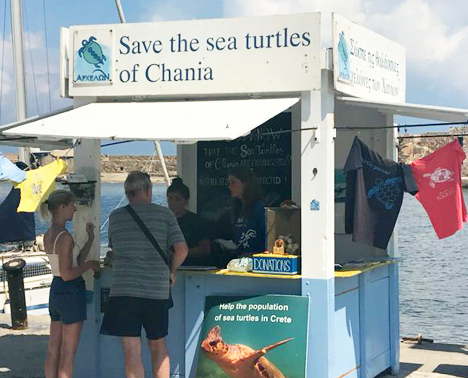 Students will typically work for the first 3months in Athens at the Rescue Centre, helping to treat sick and injured turtles and they will also be trained in the conservation work. They will then spend the next 3 months in either Crete or Zakynthos where they will work 6-8 hrs daily. Duties will include: daily monitoring of nest sites, morning and evening observations and beach maintenance, helping to man information stations, assisting in presenting awareness sessions in local hotels and assisting in nest excavations. 6 months projects will normally take place between April and September. Athene: Athens is the capital of Greece. It was also at the heart of Ancient Greece, a powerful civilization and empire. Crete: Crete, Greece’s largest island, is known for its varied terrain, which ranges from fine-sand beaches at Elafonisi to the White Mountains. Zakynthos: Zakynthos is a Greek island in the Ionian Sea and a well-known summer resort.